Heat a heavy bottom pan and add ghee and coconut. Roast them for a few seconds till there is a slight change in color. Do not allow the coconut to change color to brown. Add in half cup of milk and allow to cook. Now add in the condensed milk and cardamon and stir well. From a loose mass the mixture will get thick and form a single mass. Continuously stir in till the mixture leaves the edges of the pan. Spread it on a greased tray and allow to cool a bit or till it is safe to handle. make small balls or ladoos and roll on coconut powder and then allow to cool off completely. This is a happy moment for me. 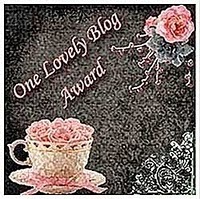 I feel extremely happy and honored to receive "One Lovely Blog Award" simultaneously form Six blogger friends of mine Akhila of Learning to Cook, Deepa,Soumya, Priya of Elaichii, Akheela of Torview and Biny Anoop. Thank you ladies for your appreciation and support. It means a lot for my blog and for me personally. Do visit their blog for yummy recipes which you will surely be tempted to try out. 2. Pass it to 15 other bloggers. Please don't leave it general and just invite all your blogger friends to collect the Award. It's always nice to be nominated so please nominate 15 friends to share the award with. Thanks Suja for sharing the award! share some ladoos too :).. love coconut ladoos! Congrats Suja chechi and those laddos looks awesome, eniku ella ladduvum eshtanu, be it coconut, rava, boondi enthum..
Congrats on the award Suja..well deserved and thanks a lot for sharing it with me..means a lot to me..lots of love!! Congrats dear, ladoo looks so yum and perfect click too..
Those ladoos look so tempting, especially the one with red specs! Congrats! Lovley laddoos,perfect click. Congrats on ur awards!!!! Ente fav annu coconut laddoo but I have never tried preparing it. Will try this recipe for sure..Yummy yummy laddus..
Coconut laddoo looks delicious..And congrats for your award..
Thats a lovely ladoo..looks irrestitable.Perfect round ladoos !! Thanks for the award Suja! It was so nice of you to think about me. Nice looking laddos. 1 question though, why are you using coconut powder again in the end? divine looking dessert...my all time favourite. Congrats on the award too. Irresistible coconut laddoos, feel like gobbing some..congrats on ur award Suja.. Thanks for sharing the award with me ....... Coconut laddus are my all time fav. Looks gr8 ! Congrats on ur award! the ladoos looks awesome... very beautifully presented! so soft and melt in the mouth laddoos ! Hi. The laddoos look absolutely lovely and the touch of pink, beautiful. Congrats on your awards...! ladoos looks so inviting and tasty !! Wow,the middle one looks so pretty,nice recipe!